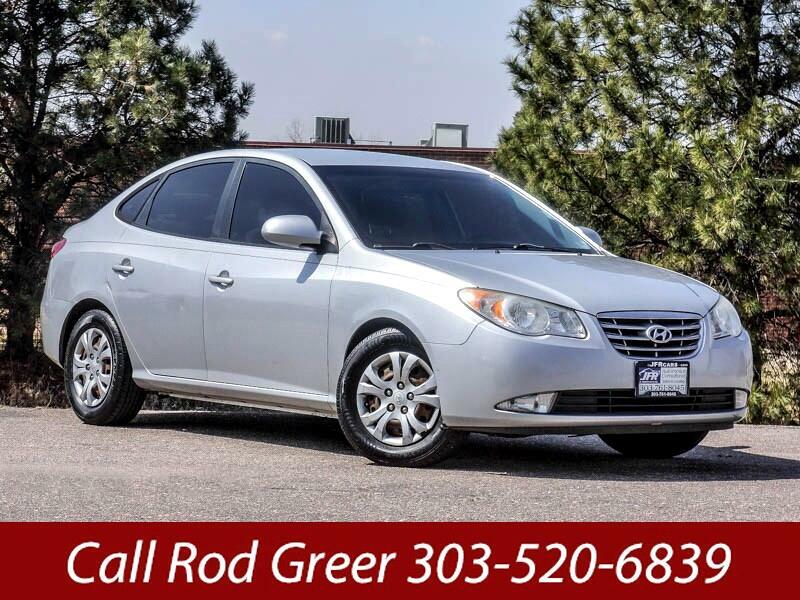 Used 2010 Hyundai Elantra SE for Sale in Littleton CO 80120 JFR & Associates, Inc.
Once you get behind the wheel of this Elantra, you'll feel like you found something special. This car offers excellent fuel economy (City 26 - Hwy 34)... fewer stops at the gas pumps add up to having more money in your pocket at the end of the month. No accidents or damage reported to CARFAX. The clean history report means you can sleep at night without worrying where this Elantra has been. You'll appreciate the quiet cabin and smooth ride. Road and wind noise have been diminished so you can enjoy your ride without having to raise your voice to be heard in the back seat. The interior cabin feels and looks more like an expensive sedan. You'll also find that you and your passengers have plenty of legroom and headroom to make your ride more enjoyable. This Elantra comes with a variety of options like a CD player, aux audio jack, alloy wheels, heated exterior mirror, On-Star, keyless entry, tinted windows, second-row folding seat, tilt wheel, plus lots more to make your driving experience more pleasing. Contact us today and schedule a test drive so you can find out for yourself how easy this Elantra handles and drives. Call Rod Greer at (303) 520-6839 if you have any questions or if you would like to schedule an appointment to see this vehicle. Message: Thought you might be interested in this 2010 Hyundai Elantra.